Viola Beauty: NEW! Urban Decay Smoked Eyeshadow Palette: Review + Swatches! NEW! 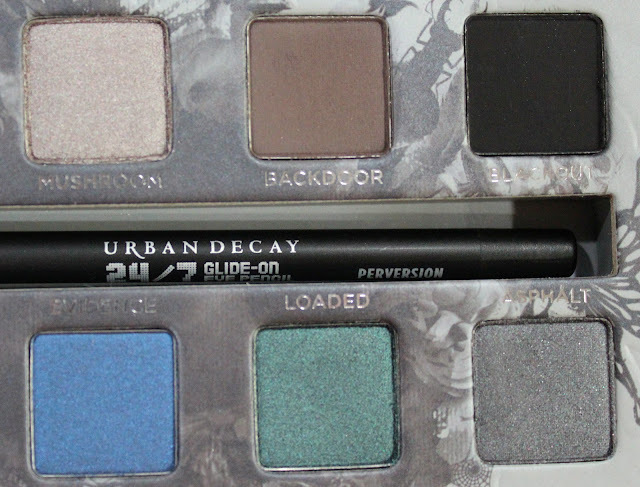 Urban Decay Smoked Eyeshadow Palette: Review + Swatches! The Smoked palette comes in a matte cardboard package with glossy printed wording. 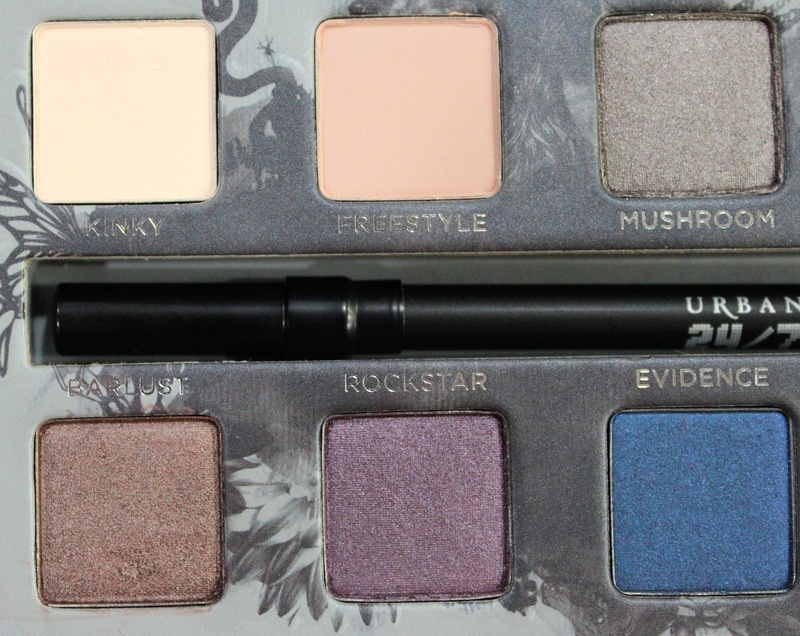 Unlike most other palettes, the look book that comes with the Smoked palette is very comprehensive. There are about 30 in-detail pages of various looks that can be achieved with the shades. The Smoked palette is slightly different than the Naked or Naked 2 palettes in that it doesn't have a snap or magnetic closure, but is housed, instead, in a glittery black canvas case that zips open and closed. I'm glad this palette comes with one of their eyeliners instead of a brush. I see myself using this one a lot. 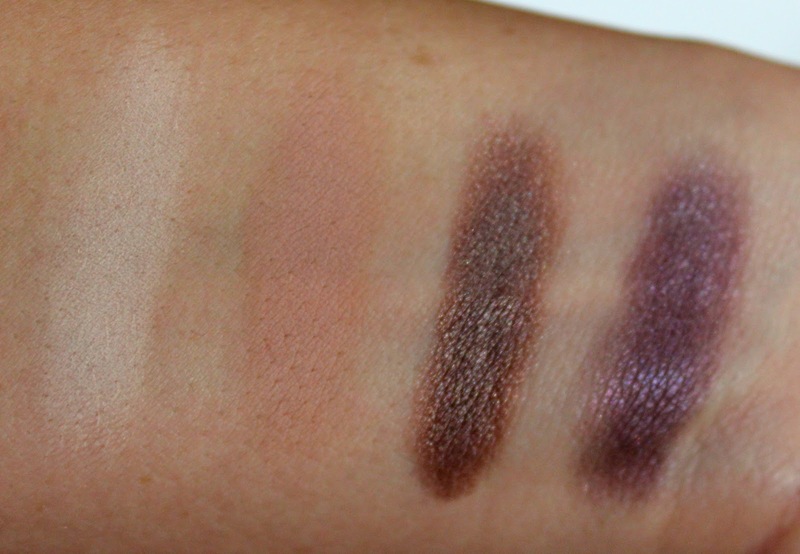 It's creamy and glides on effortlessly, can be smudged easily, and sets into place for hours of intense wear. When zipped open, the shadows are held in a cardboard backing with lacey, fluttery designs. You get 10 eyeshadows at 0.8g each (for reference: MAC eyeshadows are 1.3-1.5 g each) and a full sized 24/7 glide-on eyeliner in Perversion, the blackest black UD make. You also get a mini eyeshadow primer potion. As for the shadows themselves, I'm happy to report that there are no extremely glittery shades (as UD is famous for, but are such a pain to work with.) The palette comes with 4 mattes and 6 shimmery, satiny shades. Also, 5 of the 10 shades are brand new shades, while the other 5 are repeats. Lastly, the palette comes with a mini primer potion: one of my favorite eyeshadow primers. 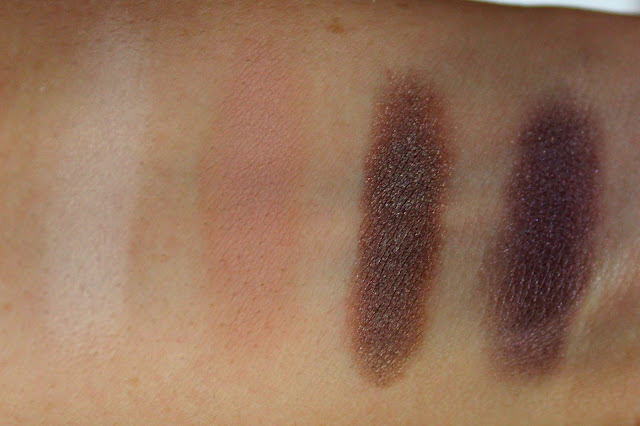 All the shades are extremely smooth and pigmented without being too crumbly. I would still prepare for some fall-out with shades this dark, though. Out of all the shades, my favorites are Mushroom, Barlust, and the three jewel tone shades: Rockstar, Evidence, and Loaded. What I love about the layout of this palette is that yes, there are a good amount of dark, sultry grays, blacks, and browns, but they also threw in a good amount of color. I love doing colored smokey eyes, so I enjoy this arrangement of shades. As for value, the Naked and Naked2 are both better value for your money as they contain 12 full sized eyeshadows (1.3g) for the same price as the Smoked palette, but if you have had your fill of neutrals and are a fan of smokey eyes, this might well be worth the investment. I've never hit pan on an eyeshadow before, so the smaller product amount doesn't bother me. Are you a fan of smokey eyes?